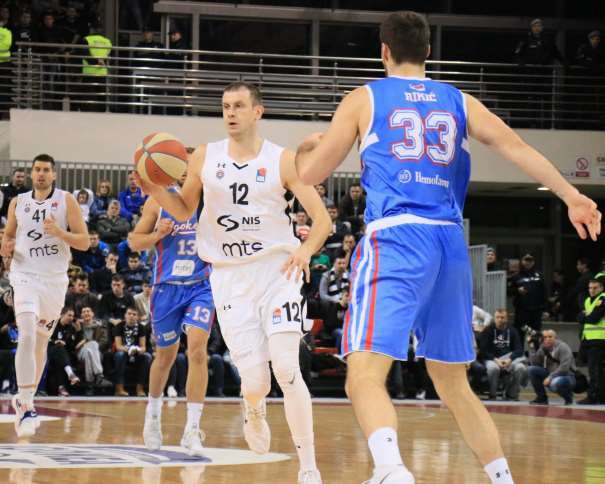 Partizan NIS beat Igokea by 67 – 74 on the road, while they neighbours Crvena Zvezda Mts won on home court with a score of 82 – 66 against Cedevita from Zagreb. Partizan NIS have scored a huge road win against Igokea in the 16th round of 2017-2018 ABA League regular season, and they are still in the race for the top four when the regular season ends, as they are still only a win behind Mornar, that are occupying the fourth spot at the moment. On the other side, Igokea have more work to do on their mission to escape from the danger zone in the lower half of the standings, as they remain with 6 wins on their record. 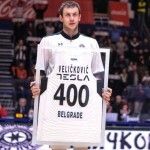 Man of the match in Laktaši was Black and Whites captain Novica Veličković, who had 25 points, 3 rebounds, just as many assists and a valuation of 29. 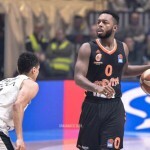 Nigel Williams-Goss scored 16 points, but American point guard was searching for his game during a great part of the match against team from Republika Srpska, but eventually he helped Black and Whites to score their 8th victory in regional league. Another player with double digits was Đorđe Gagić, who finished the game with 11 points. In Igokea, Robert Rikić score 15 points with 7 rebounds, while Marko Ljubičić added one point less but Serbian guard had 13 rebounds. Vuk Radivojević finished the game with 12 points and 6 assists. One of the best players in Partizan, Patrick Miller, didn’t play in this match because he is now former Black and Whites point guard. Team from Belgrade accepted the offer from Turkish club Gaziantep. 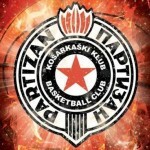 But Partizan NIS have quickly found replacement for Patrick Miller. His name is Kwame Vaughn, and he has already arrived in Belgrade. This 27-year old combo guard spent the first part of the season in Aris, Greece. 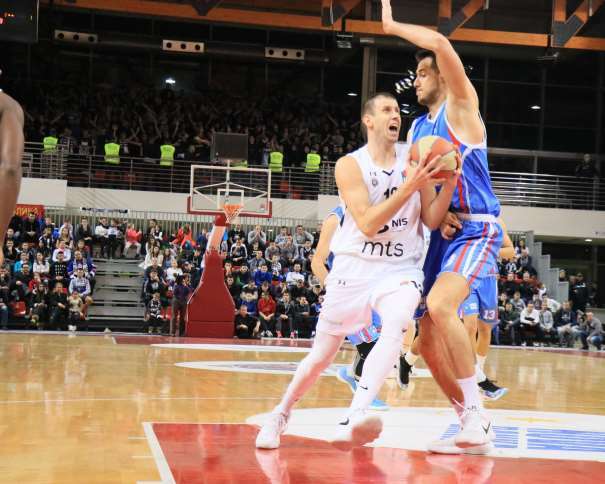 Another Belgrade team scored victory in the Round 16, and it is the greatest opponent of Partizan, Crvena Zvezda Mts, who beaten Cedevita 82 – 66 in front of more than 6000 people in “Aleksandar Nikolić” Sports Hall. Red and Whites are now in the second place with 13 victories and 3 losses, while team from Zagreb is on the third place with one victory less and one loss more than Zvezda in ABA League. James Feldeine was the best with 27 points, while Taylor Rochestie scored 15 but added 10 assists. Another two player in Red and White team with double digits score were Milko Bjelica and Mathias Lessort, who each scored 11 points and French player also had 9 rebounds. In Cedevita, most points had Demetris Nichols, who scored 13. Will Cherry added one less, while Karlo Žganec finished the match with 11 poins.